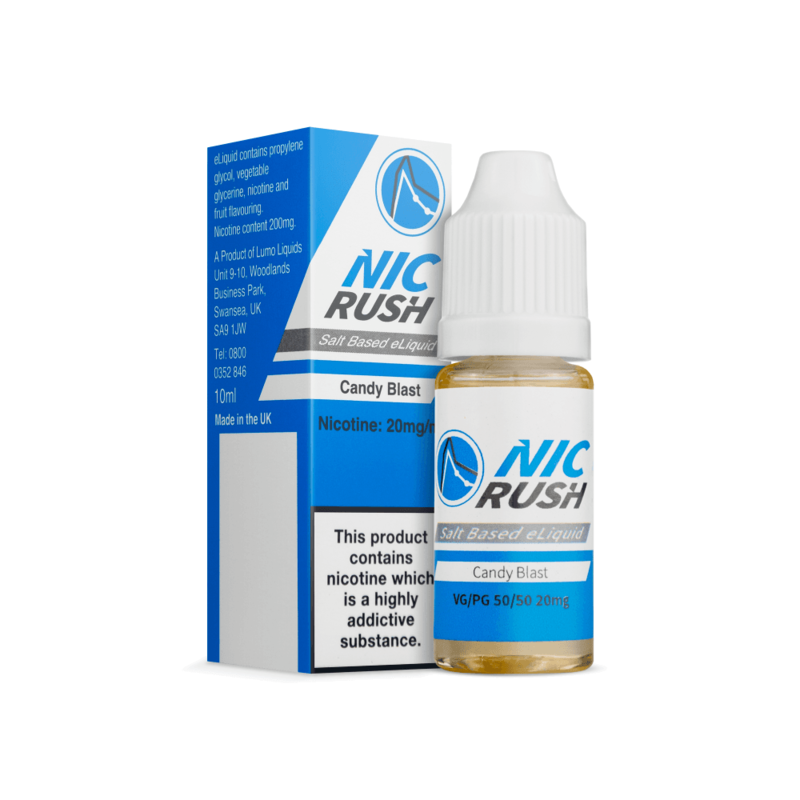 Candy Blast by Nic Rush is the perfect choice for vapers with a sweet tooth. Candy Blast is full of irresistible candy flavour and has a nicotine salt formula for a totally satisfying vape. really nice flavor, reminds me of Tutti Fruttis. My go to flavor. It's my wife's fav as well and she usually goes for dessert flavours.